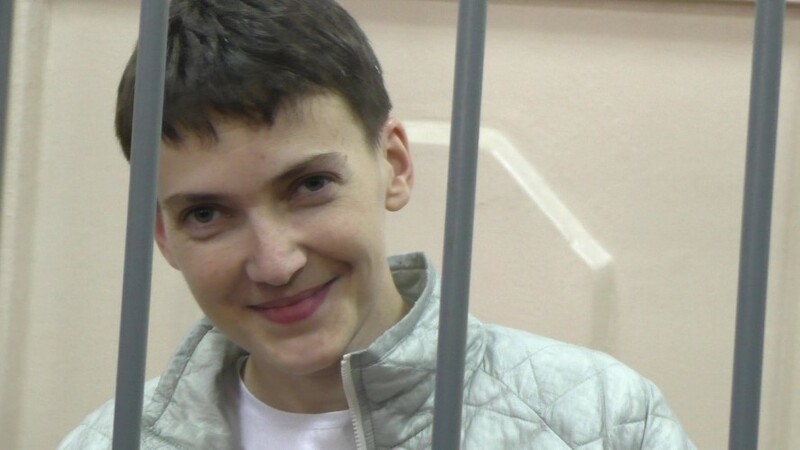 A captured pilot and a member of Verkhovna Rada, Nadiya Savchenko told Focus about the effectiveness of her hunger strike as a protest method and what she would say to the Russian President Vladimir Putin. On August 21 , Rostov Regional Court denied to defer consideration of Nadiya Savchenko’s case, a captured Ukrainian pilot, [back] to Moscow. Savchenko herself participated in the [court] hearing via video conference from the prison detention center in the city of Donetsk, Rostov region [Russia], where court hearings will soon resume. Nadiya answered several questions for Focus. In what conditions are they currently holding you? Are conditions [here] different from conditions at the Voronezh and Moscow prisons? – All prisons are the same because they are all prisons. But I feel better here because [this prison] is closer to Ukraine and people understand the Ukrainian [language]. Do you have access to information about what is happening in Ukraine and in the world? Who has visited you in detention other than [your] attorneys? – All information about Ukraine and the world comes to me through the distorted mirrors of the Russian media. Besides the lawyers, I see my relatives one or two times a month. You declared extended hunger strikes – did they bring about some kind of result? Are you going to resort to this method of protest again? – This method achieved a certain result. I believe that if I had not stopped the hunger strikes, the result would have been better. In the future, I will have to resort to more radical methods – a hunger strike is not enough. What do you expect from the upcoming trial? – One can only expect a show, and not justice, from a circus. Do you see a possibility of your release and return to Ukraine in the foreseeable future? Are you willing to compromise with the Russian authorities? – I will return to Ukraine at any cost. And I do not compromise with scumbags. There were reports that you planned to write a will before your transfer to Novocherkassk [a city in Rostov region, Russia]. Did you manager to write it? – No, they would not let me do it at the detention center. Do you notice the efforts that Ukrainian authorities undertake to [ensure] your release? – Ukrainian people put more effort in [to this]. If you could say something to President Vladimir Putin now, what would it be? – Better resign while you still can. This entry was posted in #Free Savchenko, English, English News, Pictures, War in Donbas and tagged #FreeAfanasyev, #FreeChigoyz, #FreeDegermendzhy, #freekohver, #FreeKolchenko, #FreeKostenko, #FreeSavchenko, #freesentsov, #RussiaInvadedUkraine, #StopRussianAggression, #UkraineUnder Attack, Donbas, Donetsk. Bookmark the permalink. dear nadiya your courage astounds me,it is after all something i have never possessed.May the Lord our God watch over you and keep you safe till you are back,where you should be amongst the people you love. Slava Ukrayini!